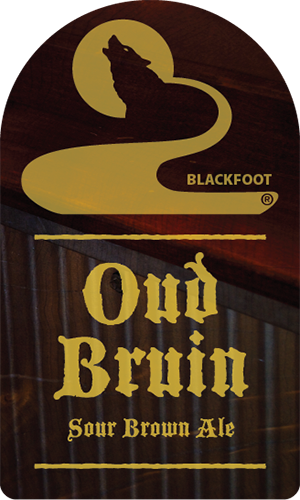 Blackfoot’s Oud Bruin was created in a similar fashion as a traditional Belgian Oud Bruin, also known as a Flanders Brown Ale. This beer was aged in oak wine barrels for 12 months with Belgian yeast, Brettanomyces (wild yeast), and Lactobacillus. Oud Bruin is a reddish brown ale with complex aromas and flavors of sour cherries, sweet dark fruits, oak, and rich malts.